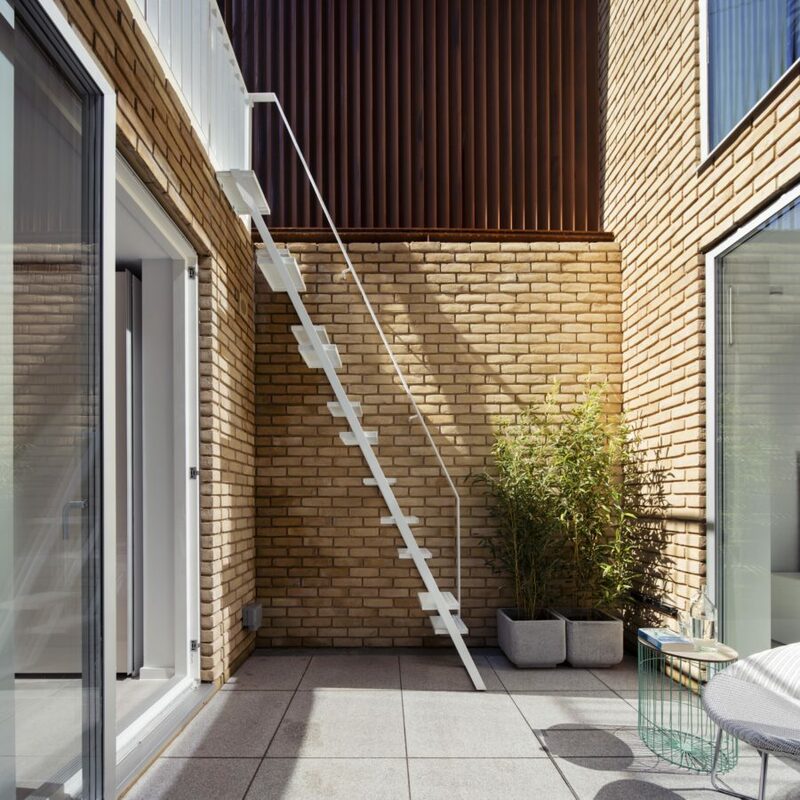 Hackney Backhouse is a brave, imaginative and contemporary back-garden house that volunteers itself to the street through louvred screens of weathering steel, affording fleeting glimpses into the house to passers by. 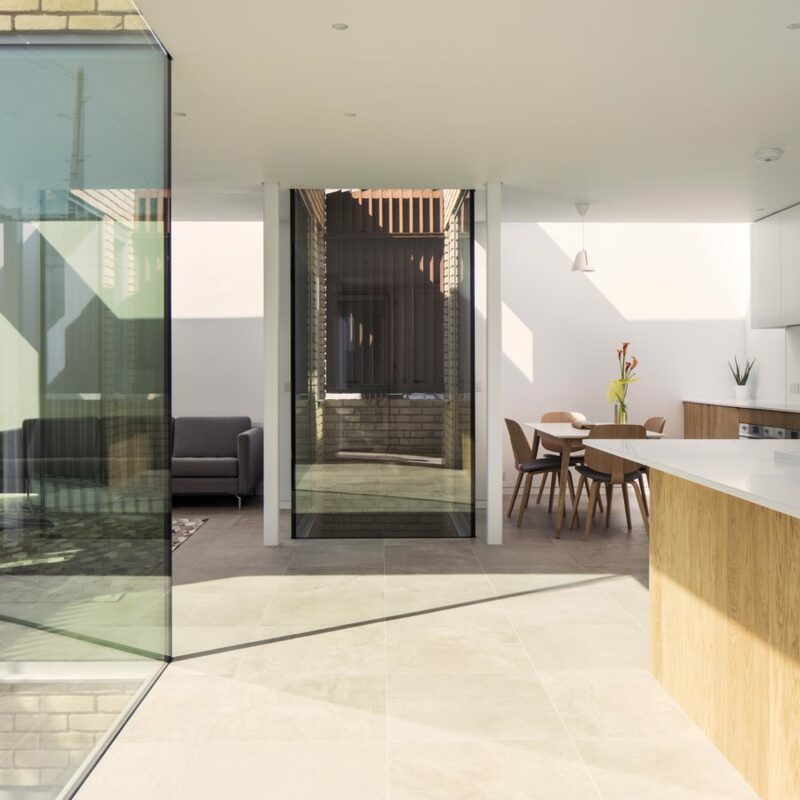 The two-storey, three-bedroom family home is neatly tucked onto a 11m by 8m site in a Hackney Conservation Area, formerly occupied by a run-down garage and workshop. 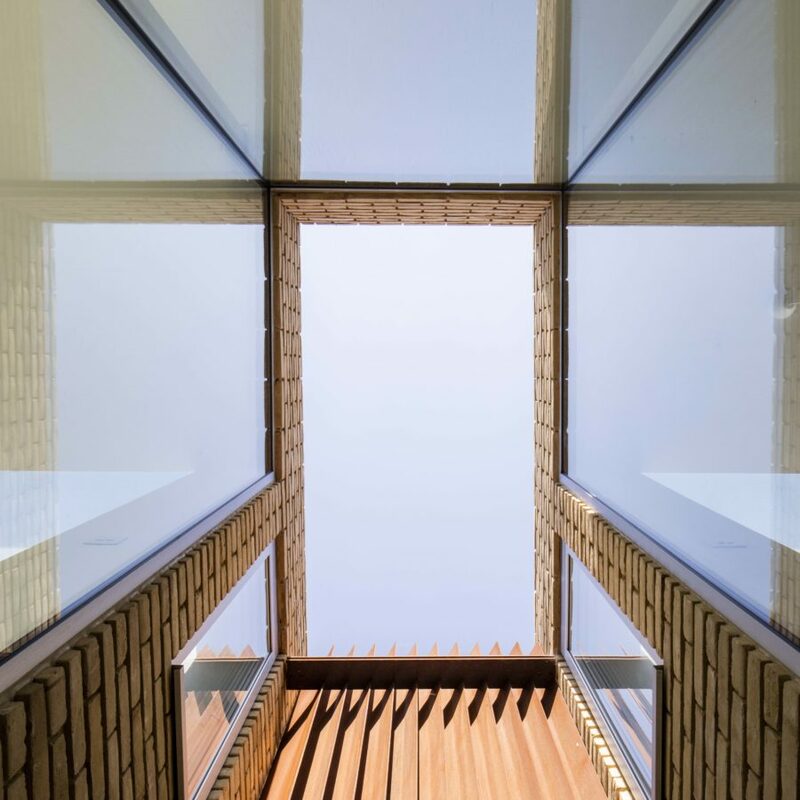 Keen to avoid divorcing the house from its context and its neighbourhood, Guttfield Architecture designed a house with a direct visual relationship with the street – the house is part of the street and the street part of the house.